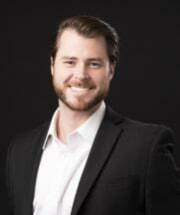 Michael joins MWSS+ after practicing law for three years, including time with a large corporate firm in New Orleans and apprenticing at a small firm in Boise. Michael’s experience is in employment law, administrative proceedings, international regulations, and maritime law. His naturally competitive nature has helped hone his skills as an aggressive commercial litigator. Michael grew up in Boise and he is excited to return to his home-city to continue his legal career. Michael’s practice will focus upon commercial litigation primarily in the areas of employment, construction and real property law. After graduating from Bishop Kelly High School, Michael attended St. John’s University in Minnesota, played for the school’s hockey team, and earned his B.A. in Philosophy. Michael went south for his law degree, graduating from Loyola University New Orleans College of Law in 2013. During his time at Loyola, Michael received Certifications in Environmental Law, Civil Law, and International Studies.